I'm horrendous at keeping things to a minimal, probably because I had a lot of room and closet space when I was growing up and things just kept piling up. That certainly extended to my daily bag which had everything I needed - my wallet, a set of meds and my inhaler, toiletries, powerbank, facial tissue and extra this, extra that. My cardio has been scolding me for many, many years about lugging around a huge bag. Carrying heavy stuff is bad for me, so since my surgery in 2013 I started to reduce what I bring around. Honestly, I was really nervous about doing this since I was taught to always have everything you need on hand. I waited awhile before I blogged about this move because I wanted to do it for a few weeks first to prove to myself that I could do it and well a few of my friends were skeptical that I would survive (old habits do die hard!). But alas! 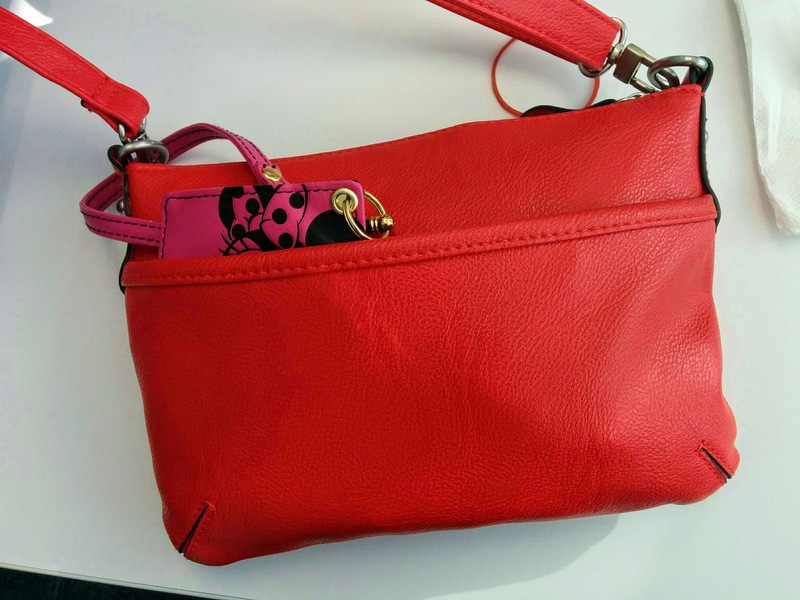 I've been living daily with just a tiny bag for three weeks now and I'm really proud of myself (it's seriously an achievement!). The last few days I've made a move to reduce unnecessary clutter in my room and desk here in Singapore. I discovered that I had too many supplies. I had too many pens on my desks! I had at least about 20 pens on each desk (office and home). The pens were mostly left behind by colleagues who'd use my desk whenever I was out. I was shocked to find out that I had about 7 Stabilo pens on my desk and I don't even like using highlighter pens (I prefer dermatograph, the crayon like thingy). I had about 4 cutters, 3 scissors on and several markers. At home the pens piled up from collecting hotel pens and giveaways. How many pens can you dry out in a year anyway? My Dad lived his life without focusing on material things. He had what was essential and this was evidenced by the fact that his only earthly possessions were his clothes and his favorite law books. I realized that with just what he needed my Dad had managed to focus on what was essential and I would like to strive for that. It's just a start and I know it's going to take time before I become a pinky of what my Dad had managed when he was alive, so tiny bag living is my mantra for now. Philippine Airlines brought tears to my eyes during my flight to San Francisco. It was happy tears actually. I woke up disoriented half-way through the flight. The cabin was quite dark and it took me a few moments to realize where I was. 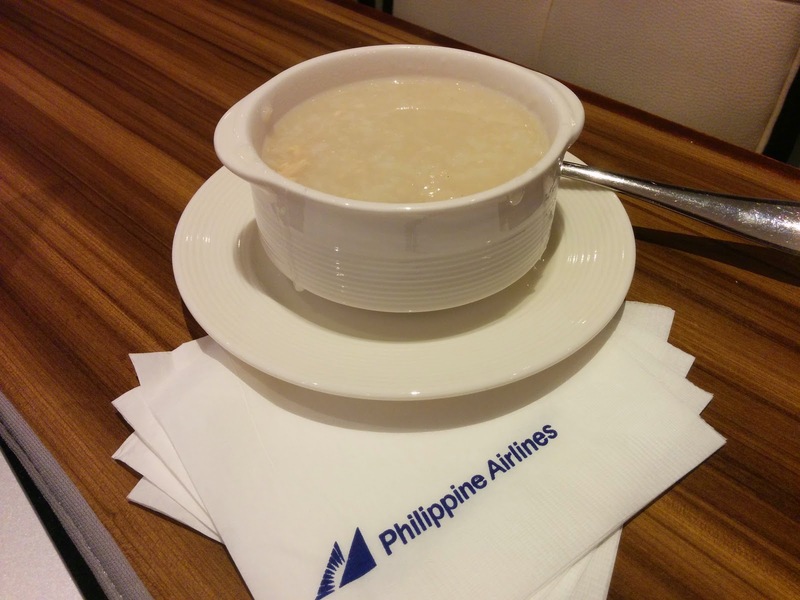 After awhile one of the flight crew approached me and asked if I wanted some arroz caldo. I hesitated since I wasn't really hungry and well I only really liked the arroz caldo my Mama Lola made whenever I was sick. I eventually agreed and was promptly served a bowl of piping hot arroz caldo. A familiar scent wafted to my nose and memories of my Mama Lola cooking arroz caldo came back to me. I immediately got a spoonful, blew on the spoon to cool down the arroz caldo a bit and took a mouthful. Wham! I was brought back in time and I felt I was once again having a bowl of my Mama Lola's arroz caldo. I also promptly remembered the times I spent with my Mama Lola. She went to heaven when I was 12 years old. Being the youngest in my generation she was the only grandparent I got to spend time with (I didn't say "met" because I met my grandfather in a very surreal manner). I was a big headache to my lola because I always kept her helpers from working because I always wanted to play "teacher" and they were my students. I don't remember though if she scolded me for it, but I was told that I was the favorite apo. My Titos and Titas say that I got a lot of my Mama Lola's quirks, eccentricities and weirdness, haha. I guess they're right. If you eventually find me watching TV with shades on and beach swimming with an umbrella then those would be just some of the things I got from my Mama Lola. On the other hand, I've also inherited her love for sewing and the one thing I inherited from her is her sewing kit. It's inside my closet at home with the pins untouched and with her heavy scissors intact. It's one of the things that I keep dearly close to me. I miss you Mama Lola. I'm sure you are having a ball up there with all of my Titos and my Dad.